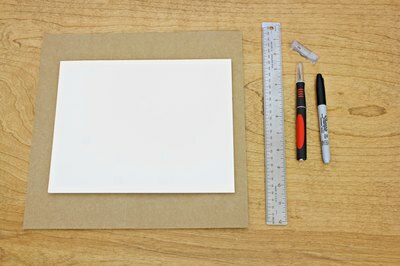 Foam board -- more commonly called foamcore -- is used for a variety of art projects, from model building to mounting artwork. Just as it is used for art, there is an art to cutting foamcore correctly. Cutting incorrectly results in shredded and bumpy-edged foam board that looks unprofessional. 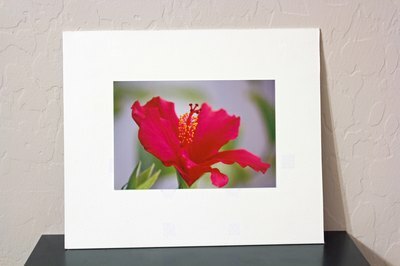 You can always elevate the quality of your artwork with good craft techniques and similarly, you can deflate creative and talented artwork with poor craft techniques. Mark the foam board where you want it cut. 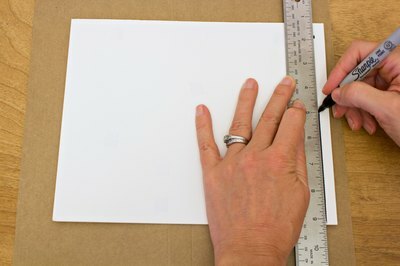 Using a metal ruler, cover the foam board part you want to keep and cut into the part you are going to discard. 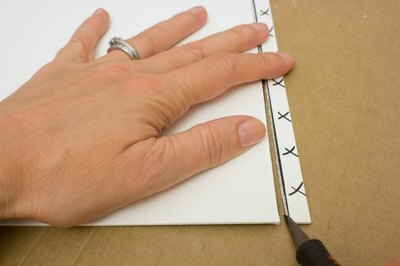 Cut into the foam board with a utility knife breaking through the top surface of paper. Do not use too much pressure. Continue cutting until you are clearly through the foam board. This is the trick: Use multiple cuts with minimal pressure. This article explains the details of how to cut any size circle from craft foam board in step by step instructions.